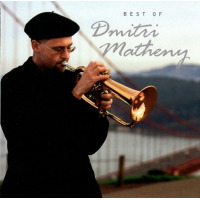 Recorded live at La Note Café and Restaurant Provencal in Berkeley, California earlier this year, Dmitri Matheny’s third album offers ballad material suitable for framing and displaying in the living room where you’ll be able to revisit it every day when you come home from a hard day’s work. The trio’s members form a cohesive seamless unit made up of equal parts soulful expression, caressing phrases, imaginative asides, and dedicated lyricism. Matheny, who will turn 33 on Christmas Day, was born in Nashville and spent his early childhood there. By the time he started learning to play the trumpet his family moved to Tucson, Arizona and the artist’s love for wide-open spaces became embedded in his music. A return to the big city and to the Berklee College of Music in Boston seems to have influenced his compositions as well. More information about the flugelhornist is available from http://www.mathenymusic.com and http://www.monarchrecords.com . Marian McPartland’s "Twilight World" fuses a subtle Latin rhythm with relaxed flugelhorn and piano musings. Matheny employs an original technique whereby he tapers the end of a centerpiece phrase with a gentle steady stream of air – without tone. It’s as if one were conversing and using a gentle sigh for effect. Matheny’s bop-derived "Geneva" and his happy up-tempo Jamaican romp "Soca Nova" provide a few lively highlights; the audience especially loved Grant’s Monkish piano solo spot on "Geneva." 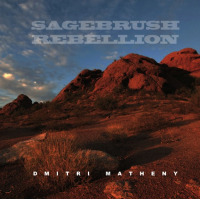 A sensitive and expressive new voice on today’s jazz scene, Dmitri Matheny is preaching smooth sounds without losing sight of the quality in music. Recommended. 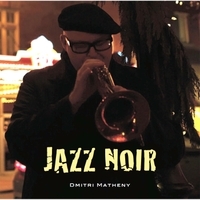 Personnel: Dmitri Matheny- flugelhorn; Darrell Grant- piano; Bill Douglass- acoustic bass.